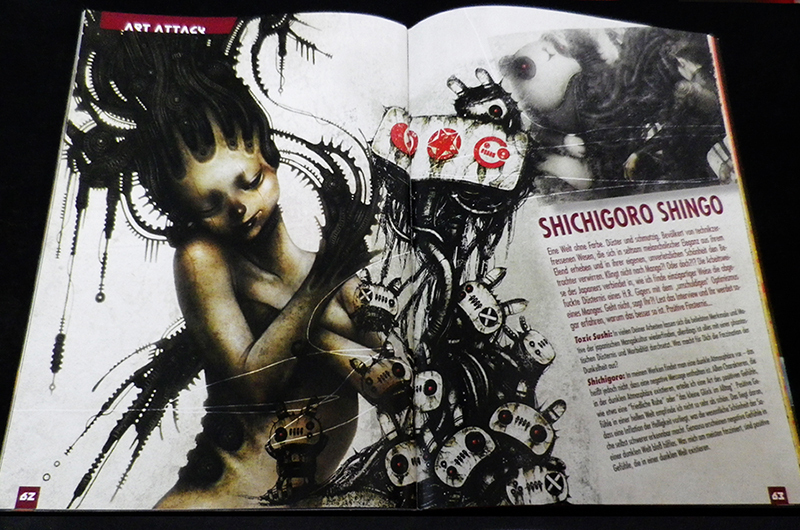 shichigoro-shingo’s interview is published in “TOXIC SUSHI Ausgabe 6″ which is the magazine in Germany. 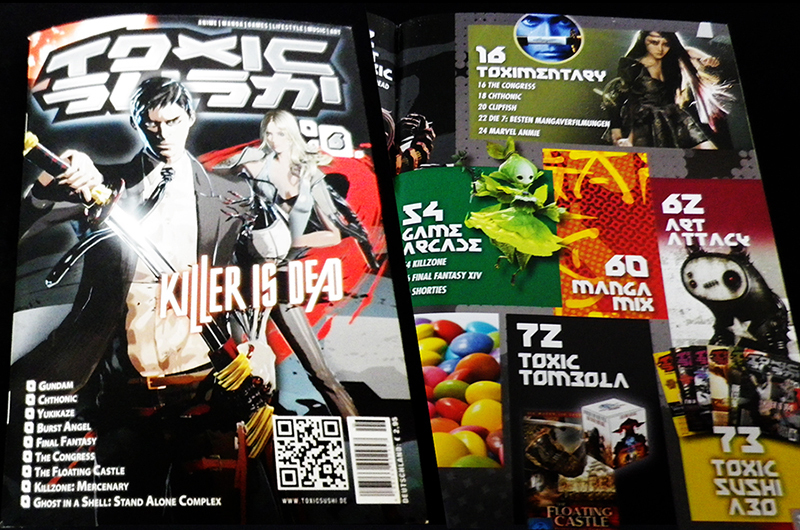 It appears that TOXIC SUSHI is a magazine to introduce games, Anime, arts and subculture in Japan and Asia. There are a lot of the content of the interview such as about the attractiveness of dark art, about the globalization of inspiration for art, about the taboo of art, about inspired artists and about my artworks, and are written in German. The cover and Table of Contents are like this. Website of TOXIC SUSHI. You can also view other issues from MENU on the left.